RB-AES4X3 Quad 3 Way AES/EBU Splitter XLR Connectors. The RB-AES4X3 is a passive, quad “one-to-three” splitter housed in a 19” rack. 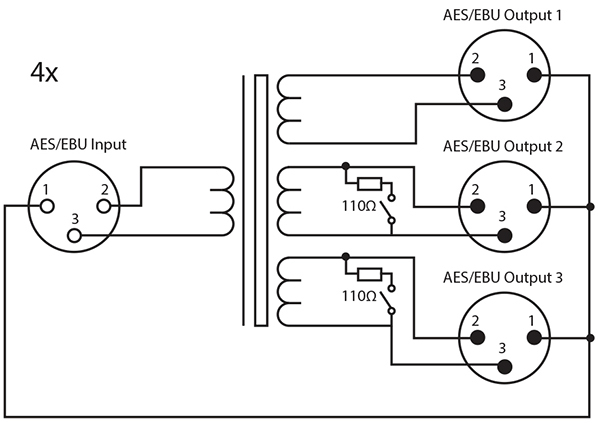 Each bank is designed to split a single AES3 digital audio source to up to three destinations, using Neutrik XLR connectors. 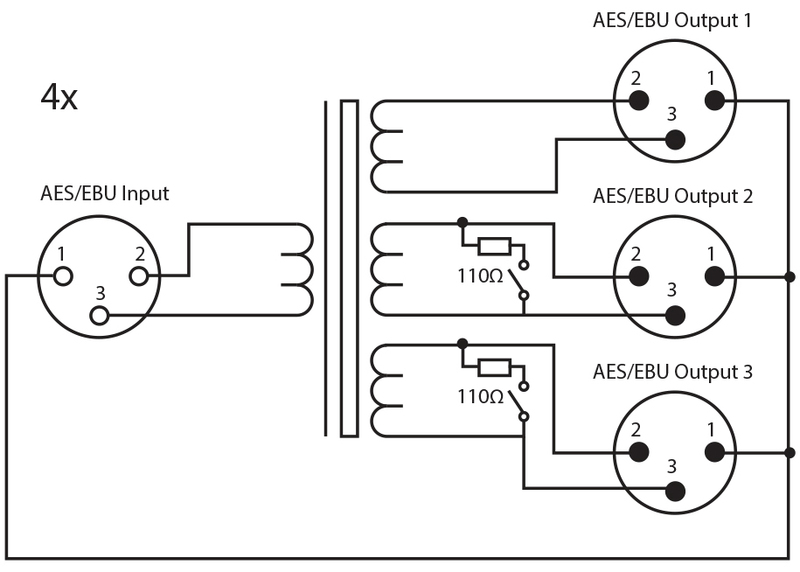 The RB-AES4X3 provides solutions to a range of digital signal distribution problems, where correct termination is essential to maintain signal integrity. The input signal is split through high quality transformers, and 110Ω termination can be applied, if desired, to unconnected outputs. The RB-AES4X3 requires no power to operate, ensuring your audio remains connected from source to destination(s) without interruption from power failures.